This is the official Web Site of The Health Centre Surgery, the General Medical Practice of Dr Carmen Simo. The Health Centre Surgery has been providing NHS based General Practice in Halewood, a socioeconomically mixed suburban area of Knowsley, bordering into Liverpool, since 1972. It was founded by Drs Peter and Lorna Kinloch who were joined by their son Dr Thomas Kinloch in 1985. On the retirement of Drs Peter and Lorna in 1989 Dr Brendan Moran joined the Practice. Dr Carmen Simo, an already very experienced GP, became a partner in 2016 having held the position of GP assistant first. With the retirement of Dr Brendan Moran on 31/10/17, the Practice moved into the safe hands of Dr Carmen Simo, assisted by the now part time Dr Thomas Kinloch. Dr Simo is also assisted by full time Practice Nurse, Sr Julie Daly. In January 2009 the Practice moved to The Halewood Centre, a modern purpose built combined resource centre integrating Health and Social Services, from the old Halewood Health Centre (now under the car park!) where we were known officially as The Health Centre Surgery. To avoid confusion within the NHS the Practice kept this name when it moved. We hope these Web Pages contain all of the information that you need about us and more besides. If there is anything missing, anything that you would like to see included in the Web Site, then please contact us. You will find full details about how to do this on our contact us page. 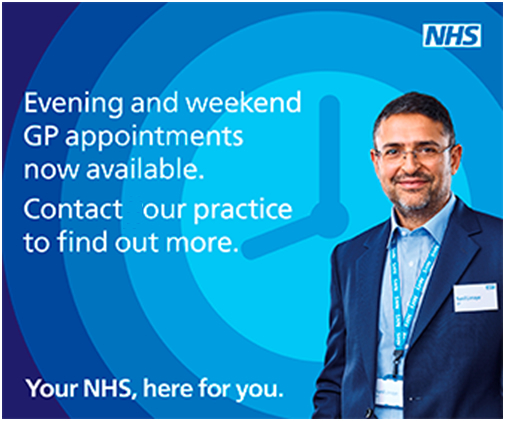 The appointments are available at: Nutgrove Villa in Huyton, Kirkby Primary Care Resource Centre, Halewood Primary Care Resource Centre and Whiston Primary Care Resource Centre. Opening times vary between locations but overall Extended Access is available from 8am - 8pm, Monday - Friday and 10am - 8pm Saturday and Sunday. To book an Extended Access appointment, ring our practice on the usual number, quote ‘Extended Access’ and a receptionist will assist you.